Dart Pro 1 Ford Head - Dezod Motorsports Inc - Home of the automotive performance enthusiast since 2002. 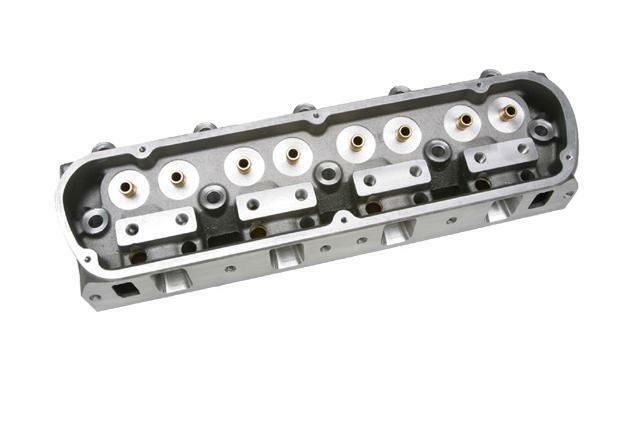 The ports and chambers in our Pro 1 Ford cylinder heads have been designed using Dart’s sophisticated wet flow technology for superior fuel atomization and air flow characteristics. Standard valve angle and spacing is retained for bolt on compatibility. Bolt on compatibility: Standard valve angle and standard spacing accommodates all stock accessories. Heart shaped chambers improve combustion efficiency. Exhaust runners are raised .135” for improved flow. Multi-angle intake seats and radiused exhaust seats improve flow efficiency. Exhaust flange uses the standard bolt pattern.